Everyday Food Made Simple: Shelf Reliance 12 Days of Amazing Deals! As the holidays are approaching, all of us are looking for the perfect gift for our loved ones. With Shelf Reliance’s 12 Days of Christmas Sale you will be able find the perfect gift for a great price. Also Shelf Reliance promises to deliver your order on time for the holidays! Starting TODAY, there will be 12 different items on sale, ONE EACH DAY. Don’t let this great opportunity pass you by. Today's Deal! 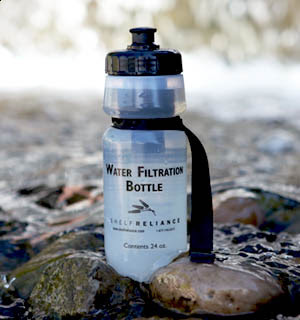 Water Filtration Bottle: CLICK HERE to order!